The Spryte stand aid transport aid keeps the patient engaged and active in the transfer. Transport functions of all types are quick and require minimal caregiver assistance. Users grasp the middle bar and pull themselves up into position. A padded split seat swings out to allow loading or unloading. The seat then swings back to form a secure and comfortable seat for transport. An excellent alternative to wheelchairs for toileting. Rugged construction for years of service in acute care, nursing homes and private residences. A padded split seat swings out to allow loading or unloading, then swings back to form a comfortable and stable transport seat. The Stand Assist is a convenient toileting alternative to a wheelchair. 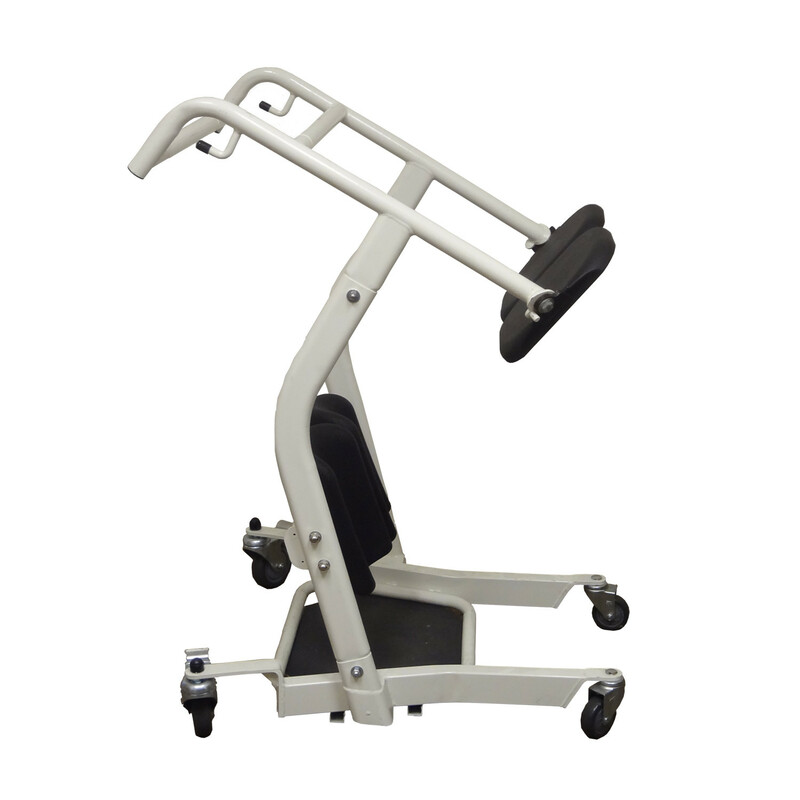 A Lumex Stand Assist Buttock Strap can be used with lift to provide additional support for the patient.